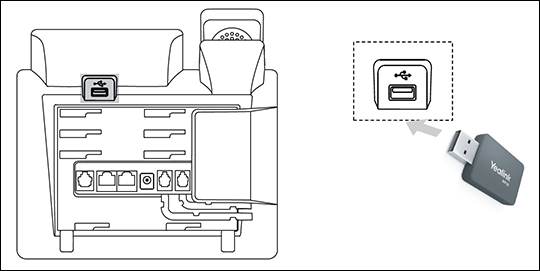 These steps apply to the CP920 conference phone as well as the T41S / SW, T42S and T46S / SW desk phones. Only one USB device (e.g., flash drive, Bluetooth or Wi-Fi adapter, etc.) can be used at a time. Insert a USB flash drive into the USB port on the conference phone to record active calls. Press the Start REC soft key during an active call. Press the Stop REC soft key to stop recording. 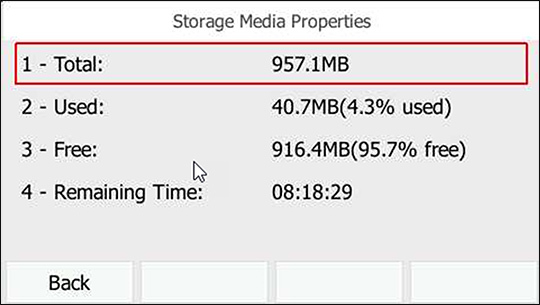 The recorded file is saved to the flash drive. If you end a call during recording, the recorded file is saved automatically. Tap the More > Pause REC soft key to pause recording; tap the Re REC soft key to resume recording. Calls are recorded in .wav format and can also be played back by plugging the USB drive into a computer. 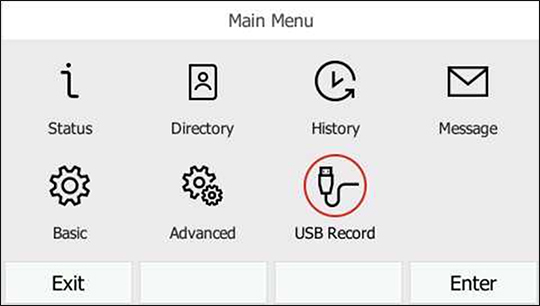 If using a T41S/SW, T42S or T46S/SW desk phone, select option 6 from the home screen. 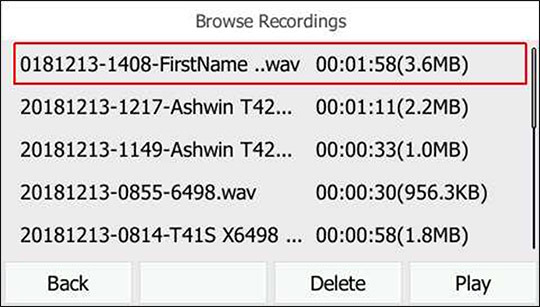 Select the desired recording then press Play. 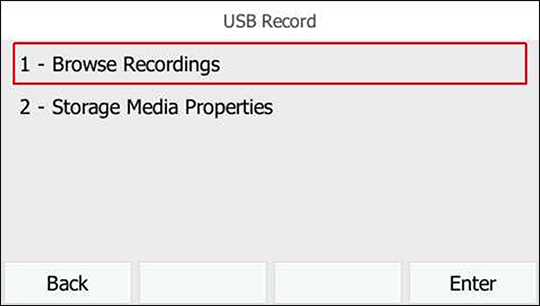 To view the used and remaining space on your USB drive, select USB Record then select Storage Media Properties.